SICK AND TIRED OF YOUR JOB? You can’t stand it any longer! You have a dream for your life…a vision…but you don’t know the first thing about how to make it real. Am I right? Maybe you’ve tried therapy…maybe you’ve tried a life coach…But still—you didn’t get the results you wanted. You are still STUCK! Instead...you need a much more powerful system with guaranteed results that would have you leaping into your new passionate career in 60 days OR LESS! If this sounds like you, then read on! What happens when you merge architecture with psychology and mentoring? You get a very RARE and powerful combination…you get an expert LIFE-BUILDER—someone who discovers your hidden passion, reveals your deepest wishes and desires for your life, but doesn’t stop there like so many run-of-the-mill life coaches. My name is Karen Otis, and I am the “Architect Life-builder”, author of the popular book: Architect Your Epic Life, and developer of a fresh new approach to designing a life. A LIFE-BUILDER takes that vision or dream and expertly builds it so that it becomes your new REALITY! That is what I do. I can promise you that it is unlike anything you have ever tried before. For over 25 years, as an Architect, I have been designing and building spectacular homes with creativity and ingenuity. I am an expert at creating a vision and then strategically making it come to life. That has always been my unique forte! When my life fell apart with the unexpected and painful collapse of my marriage back in 1999, I built it back to even better than before by using the very same skills from architecture. I discovered that these architecture strategies are even more powerful when it comes to designing and building a spectacular life. Since then, I design and build epic lives for others seeking to ditch the mediocrity and build something better out of their lives. They want to live BIG and BOLD, unapologetically loving their life! The signature system I have developed called the “Architectural Method” is groundbreaking and life-changing! NO more r-e-a-c-t-i-n-g to your life, I guide you to shift those letters around and start c-r-e-a-t-i-n-g it with 8 simple steps. These are the very same steps I use every single day when I design a home from conception to completion. And let me tell you these are powerful, effective steps that when used to life-build, bring lasting results! Are you tired of trying all these woo-woo methods that don’t really seem to stick? Tired of the introspective life coaching without the results to back it up? Tired of venting to a therapist or friend without getting the outcome you are hoping for? NO MORE! As an architect, I am an expert at envisioning and creating…bringing something amazing to life. And that’s what I do with you. If you are sick and tired of your job, or you have settled into boring mediocrity—you NEED a new direction! Wouldn’t you rather be energized and bursting with excitement when you wake up ready to take on your work because it is meaningful and you are passionate about what you do? Wouldn’t you love to LOVE your work while making a fantastic living at it? It is entirely possible. But, you need a new design. You need an architectural re-design of your life or job…,and that is exactly what I deliver! I take you from creative thinking, to envisioning with clarity, to developing your design, and then to the Dream Job blueprint plan that will secure your success. It’s a system that works with outstanding results. This online course is your ticket to finding that fulfillment and joy in your career that you have been longing for. It is absolutely possible for you to LOVE what you do, and that is exactly what this program delivers. If you are truly tired of facing the monotony, boredom, and disappointment in your job, and you REALLY want to make a change even though you are not sure how—this is the program that will take your career from exhausted to exhilarating! After working through the 8 simple steps, you will know exactly what your passion is, have a clear and solid vision of the job that would support that passion, and the exact blueprint to build your dream job. *Video courses that define and explain this groundbreaking new method to designing a life. You have the luxury of going at your own pace, while I walk you through the entire process to assure your success. *A downloadable workbook with proven exercises that will reveal what your true passion is and how to design a job that supports it so that each day is energized and fun, where work no longer feels like work! *An eight module course that ignites your passion, reveals your strengths and desires, brings light to what is holding you back, and offers techniques to strengthen your intuition so that you feel certain about the decisions you will be making. *Access to my Private Facebook page where you can ask questions, connect with me, and also others in this course. “Working with Karen Otis really made my life turn around! I now LOVE my new job and feel passionate and excited about what I do. Best decision I made!” -Lisa B. “Karen Otis delivers a really creative way of thinking. Working with her, I was able to leave my boring and stressful job and start my own thing! Who knew work could actually be fun and inspiring! I wish I had done this years ago!” J.W. “Karen gets results! I’ve tried lots of other coaching programs and I’ve been to therapists, but nothing gives you quite the proactive results that you get in working with Karen. She knocks it all into high gear, and literally builds your vision with you! Her creative method and her problem solving skills really get bold results.” Sandy C.
This online course is your ticket to finding that fulfillment and joy in your career that you have been longing for. It is absolutely possible for you to LOVE what you do while earning a great living—and that is exactly what this program delivers. As an expert life-builder and strategist, I have been working with people for years to better their lives, to quit the monotony and charge after their dreams. And now I’ve made it available in a convenient online course for your ultimate success. It works like nothing else! A truly groundbreaking method with proven results, and it is taking the industry by storm! 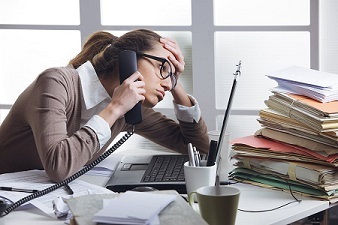 If you are tired of facing the monotony, boredom, and disappointment in your job, and you REALLY want to make a change (even though you are not sure how)—this is the program that will take your career from exhausted to exhilarating! IT ABSOLUTELY WORKS! I guarantee that after working through the 8 simple steps of the Architectural Method, you will know exactly what your passion is, have a clear and solid vision of the job that would support that passion, and the exact blueprint to create your dream job. Total Value is $1997….but that is NOT what you will pay…. Designing your Dream Job course is only $497! That is a small investment in your spectacular future career! Please don’t make the mistake of choosing to stay miserable and unfulfilled. This is your opportunity to take bold action that will bring you much needed change. Let’s get your dream job happening NOW. No more waiting for it to happen...with my help and the 🛠tools in this program, YOU can make it happen today! Remember that each day you wait is a day you’ve missed living your dream. For those of you that want even faster results and more one-on-one guidance, sign up for the VIP version which gives you everything in the course and also adds (8) weekly 30 minute calls with Karen, and weekly VIP group FB live calls specifically for immediate transformation. Remember this is your one life…don’t waste it away by settling…elevate it to extraordinary! I can’t wait to see you inside the Dream Job Academy! Please fill out the form below to sign up, then click below to purchase.